For holidaymakers embarking on an Australia Campervan Hire holiday Sydney is among the preferred arrival points. Sydney is home to several iconic tourist attractions such as the Opera House, Harbour Bridge and stunning surf beaches like Bondi. Set off on a memorable Campervan Hire holiday through Sydney and travel north, south or west with your family or friends. International travellers can spend some time in the regions in and around Sydney prior to setting off on their Campervan Hire AU holiday. There are quite a few holiday or caravan parks around Sydney that tourists can use a base. Lane Cove River Tourist Park is close to the Sydney CBD and is the perfect base to travel around Sydney city. Sydney is the entryway to the impressive World Heritage listed Blue Mountains positioned inland towards the west of Sydney. You must visit this spectacular tourist attraction on your next Australia campervan hire holiday. Even if you are planning a coastal trip to the north or south of Sydney you must include a stopover at the magnificent Blue Mountains. A trip to Euroka Clearing sited in the Blue Mountains National Park at Glenbrook is a must on your campervan hire AU holiday. When you visit this beautiful spot you will get amazing views of the local kangaroos that live in the picnic area. You can also visit the National Parks office for additional information on parks within the mountain area. The Blue Mountains region features lots of historic towns along with natural attractions such as the Three Sisters rock formations and Echo Point. You can also look forward to breathtaking views of waterfalls, sandstone cliffs as well as deep eucalyptus lined valleys. Bushwalking tracks are aplenty for different levels of activity and if you are truly adventurous you can set off on guided canyon tours. After collecting your Campervan Hire from Sydney you can set off on an exciting holiday north or south along the stunning coastline. The New South Wales coastline is truly impressive and you will be rewarded with a unique Australian experience regardless of the direction you opt for. The most preferred itinerary for a campervan hire AU holiday is to take a trip from Sydney to Queensland after which you can return the Campervan for Hire at Brisbane or Cairns. This is a popular route during the winter months which is also the best time to travel around northern Queensland. As you drive your vehicle along the highway northwards you will come across dozens of charming coastal towns. The trip southwards along the shoreline from Sydney in a Campervan for Rent is equally spectacular. The major highway south from Sydney towards Melbourne takes an inland route and is the shortest way to take a trip between these cities. If you wish to enjoy a stress-free holiday you can set off on the coastal route via sleepy seaside towns and alongside breathtakingly beautiful bays and coastal lake systems. Set off on a memorable holiday with your Campervan Hire and leisurely explore the scenic wonders of Spectacular Sydney. RentACampervan Holidays Ltd provides comfortable, cheap & best facilities for Motorhome Hire, Campervans for Rent & Motorhome Rentals. 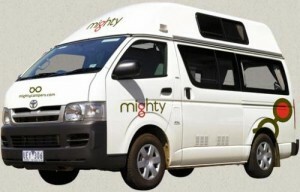 Hire Motorhome AU offers holidaymakers a wide range of campervans at various depots in Australia. So start living your dream today! Enjoy Exploring Australia at your own comfort! For more information on Renting Campervans, Motorhomes in Australia visit: http://www.australiacampervan.com or email us at bookings@australiacampervan.com or call +64.9889.4264 and we will get back to you with the best offers. This entry was posted in Australia Campervan Rentals and tagged Campervan Hire Australia, campervan rentals australia, campervans for rent, Cheap Campervan Hire Australia, Cheap Campervan Rental Australia, cheap campervan rentals australia, hire motorhomes australia, Motorhome Hire AU, Motorhome Hire Australia Motorhome Rentals Australia, motorhomes for hire, motorhomes for rent australia. Bookmark the permalink.